With the increasing competition among retailers in the online world, one gets a competitive advantage over others by selling across multiple channels, apart from their online store. If you are an online retailer, I’m sure you will agree on the above! However, considering the advantage of earning increased sales opportunities by selling across multiple channels, there can be many challenges in processing orders received for all your selling channels on a daily basis. Adopting order management software can surely ease fulfillment processes, by allowing you to sync order details coming from multiple sources at one place. However, not being able to optimize ways to manage and process your online customer’s orders, multi-channel fulfillment can prove to be costly especially for start-ups and small sellers. How is Amazon helping online sellers grow? As per the fourth quarter 2015 report of Statista, the e-tailers estimated more than 304 million active Amazon customer accounts from across the globe. The figure itself can give an idea why more and more eCommerce business owners prefer Amazon as one of their selling channels, online. Apart from offering a potential customer base, online sellers don’t have to worry about stocking inventory and fulfilling orders using FBA (an inventory and order fulfilment service). “Fulfilment by Amazon” (FBA) is surely helping many sellers to streamline their inventory management and order fulfilment processes. However, considering the era of multi-channel selling- the addition of “Multi-channel Fulfilment” is an optional feature within FBA that allows Amazon sellers to fulfil orders made on their other sales channels too. Amazon Multi-channel Fulfilment Service, what sellers need to know? Eliminate the wastage of time and effort by instantly processing multiple orders coming from your different sales channels from one centralized system. 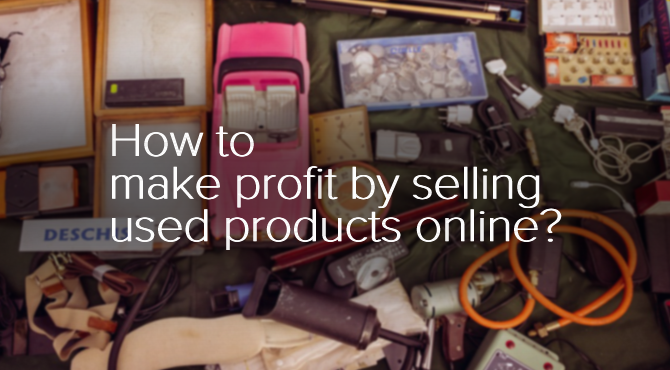 For instance: Apart from selling on Amazon, you sell via your store and other popular marketplaces. Using FBA, you can ensure your Amazon sales orders are processed using the most advanced fulfilment network in the world. However, adopting MCF (Multi-channel fulfilment service) you can process your other sales channels along with your Amazon orders, allowing you to free resources and focus more on your growing retail business. 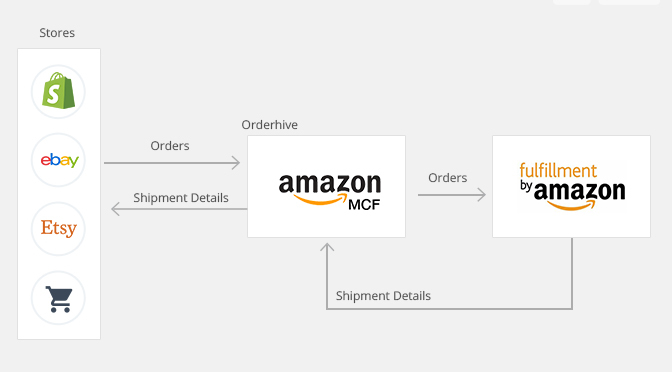 To submit orders via MCF, create shipments using the Inventory Amazon Fulfills web form. With an ability to choose Standard Delivery (1-day order processing + 3-5 business days shipping), 1-Day, or even, 2-Day Delivery, MCF will also allow multi-channel sellers to benefit the Amazon Prime Free Two-Day Shipping, and Free Shipping on eligible orders. For instance: You have received the same sales order for the same product across your multiple selling channels, now using FBA you are eligible for optional shipping benefits, however, for your other stores you may not be able to fulfil orders in the same cost. This is where MCF will ensure you are able to process your other channel sales orders via Amazon fulfilment centers helping you to cut down on fulfilment costs by processing a large quantity of your multi-channel sales orders in- one-go. To know more about Fulfilment Fees for Multi-channel Fulfilment Orders, click here. As far as branding is concerned while shipping orders through third-party shipping services, your options may be limited. MCF will help multi-channel retailers to an opportunity to promote as well, by allowing them to customize packing slips that include their brand’s name and valuable information for every order that is shipped. For instance: Every order shipped via FBA by default will have Amazon’s logo on packing slips, however, this area can allow online sellers to offer personalized content or even promote their brand and products. MCF allows Branding Options for Multi-Channel Fulfilment that can help online sellers to increase visibility for their brand, despite being fulfilled by Amazon. Sellers, who fulfil customer’s orders via Amazon fulfilment service usually, get shipped in standard Amazon boxes. And, for online sellers dealing with great product line would expect an excellent packaging, all in an effort to enhance the customer’s shopping experience. MCF will allow multi-channel sellers an ability to ship their customers orders in non-branded boxes too (obviously they do charge an additional fee for this service). For instance: Amazon standard-boxes may not attract online shoppers who purchase products from fashion or unique brands. MCF will allow multi-channel online sellers to enhance their customer’s shopping experience each time, by being able to fulfil their orders in attractive packaging. See Branding Options for Multi-Channel Fulfilment for additional information on non-branded boxes. Processing returns can be a time-taking process to many online sellers, especially when selling across multiple stores. With MCF, returns are made easy and Amazon provides the tracking numbers and returns instructions as per the choice of the online seller. However, beyond that Amazon offers online sellers with shipment details that will make it easy track your customer’s order status and ensure returns are managed effectively. To know more about the cancellation of Multi-Channel Fulfilment Order, click here. 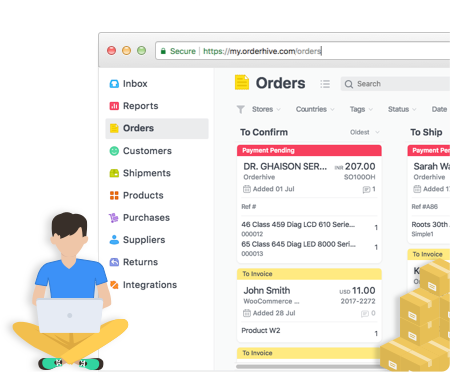 Orderhive #1 leading inventory management app is making it easy for Amazon FBA and Amazon Multi-channel Fulfillment sellers to bring stock details from their Amazon stores and other sales channels at one place, improving accuracy and allowing them to manage all their customer’s orders efficiently. How Orderhive automates order routing? Multi-channel sellers may find it time-taking and difficult to send orders to FBA warehouse coming from their different selling platforms. Orderhive will sync all your non-Amazon channels (Shopify, Etsy, etc.) automatically, making it easy for you to send order details to FBA in few clicks. Once that “Non-Amazon” order is shipped via FBA, Orderhive will automatically import shipment details and send them back to the channel from where the order was synced. If you want to know more about Amazon Multi-Channel Fulfilment, contact us to gain an expert advice and how you could simply order management for your online business. Our team of Amazon experts helps start-ups and small sellers to customize and optimize their selling business day-by-day. Who said it’s a challenge to maintain a multi-channel selling business, and you don’t have to consider Amazon as your competitor! Amazon Multi-channel Fulfilment feature has many advantages for online business owners, allowing them to earn millions of happy customers across all their stores while selling on Amazon too.